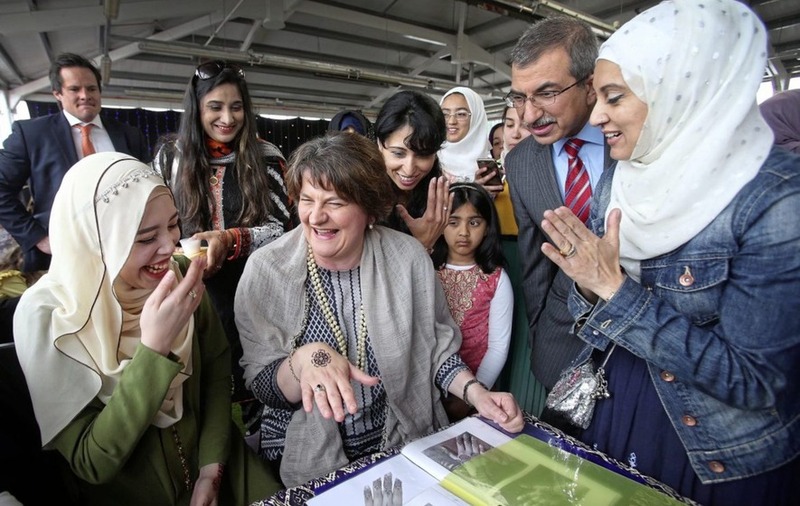 DUP leader Arlene Foster said she wants everyone who calls Northern Ireland "home to feel at home here" as she attended an event marking the end of the Muslim holy month of Ramadan. 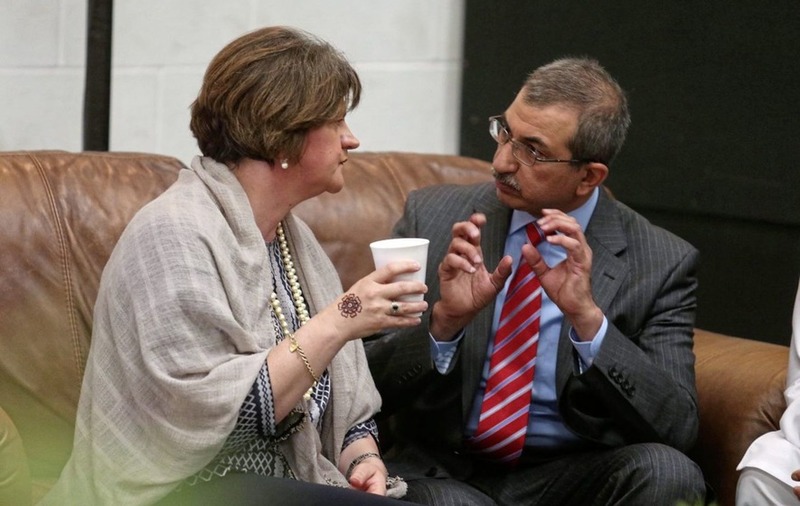 The former Stormont First Minister was a guest at the event, which was organised by the Belfast Islamic Centre. 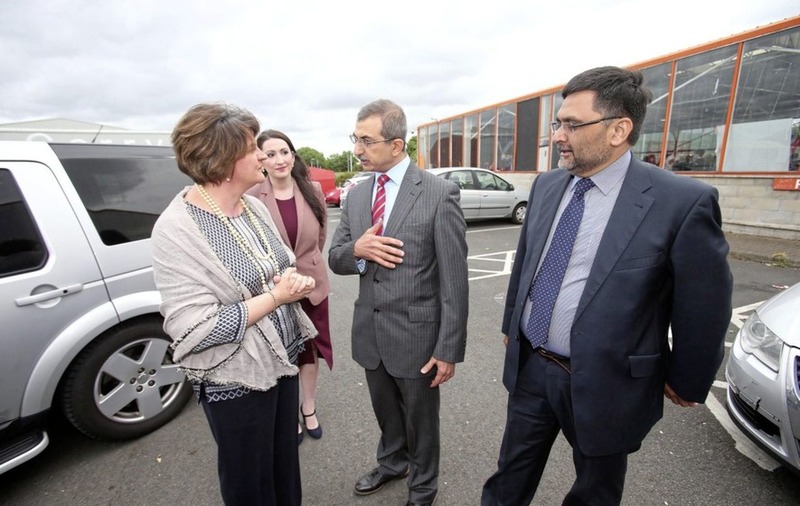 Arriving at the S13 on Belfast’s Boucher Road, Mrs Foster was greeted by Dr Raied Alwazzan from the Islamic Centre, who welcomed her to their celebration of Eid. During a walkabout at the former B&Q warehouse, Mrs Foster was greeted by dozens of members of the Muslim community, many of whom asked the assembly member to pose for a selfie. Stopping to look at the numerous stalls inside the building, Mrs Foster learned about the art of henna tattoos and even had one of the artworks drawn on her hand by Syifaa Nabir - much to the delight of the crowds who had gathered round to watch. Hundreds of people packed into the large disused warehouse to mark Eid al-Fitr, which is "the feast of the breaking of the fast" that begins when the moon rises on the final day of Ramadan. Eid is marked with a special set of prayers on the first morning of the festival, followed by the first daylight meal in a month, usually shared with friends and family. The DUP leader was joined at the event by south Belfast DUP MP Emma Little-Pengelly. Sinn Féin assembly member Máirtín Ó Muilleoir was also among the visitors at the Muslim celebration. Mrs Foster later posted photographs of her visit on social media and wrote that she was "celebrating Eid al-fitr". "I love Northern Ireland and I want everyone who calls this place 'home' to feel at home here," she said. "We should be inclusive and welcome all. Delighted with my lovely henna tattoo. 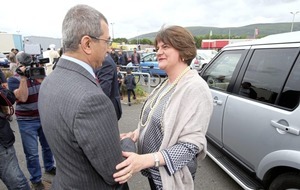 Her visit to the event comes four years after former DUP leader Peter Robinson sparked controversy with his comments about Muslims while defending firebrand preacher Pastor James McConnell. 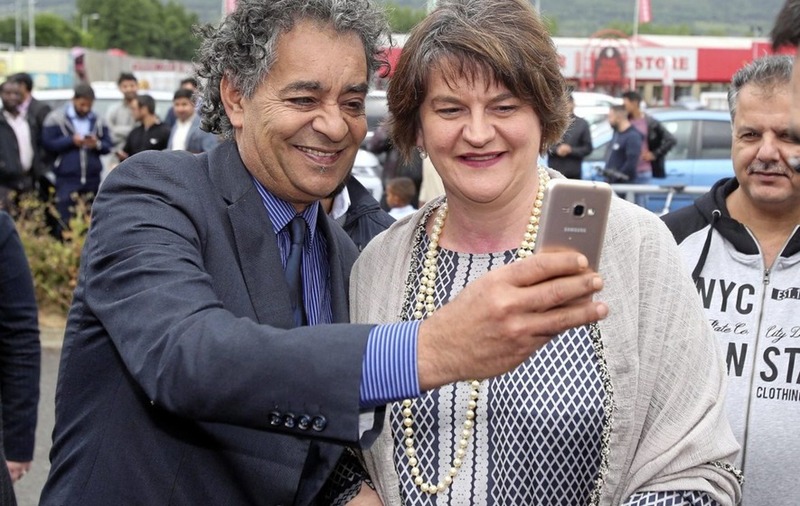 Mr Robinson later issued a public apology for his remarks and paid a visit to the Belfast Islamic Centre.